Readers sound off on entrepreneurs, mushrooms, and the Israel/Palestine conflict. I am writing to thank you for writing such an inspirational, informative, and motivational article on young entrepreneurship. I am one of these twentysomethings trying to start up my own small business. 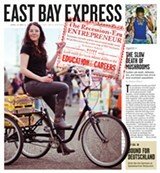 I was thrilled to learn how many others in the Bay Area are doing the same! The fact that there are so many people trying to get into small business is not considered a competitive threat to me; I think it's motivating! The "circle" of people I know are not supportive or understanding of my ambition, and I have recently been frustrated and confused as to why they would be like that. Now that I have read your article, I realize I am not surrounding myself with like-minded people, and that is I why I am not receiving the appropriate feedback! (Duh!) I also have new networking leads to connect with just from reading your article, and you have validated my original idea that being an entrepreneur is truly my destiny. So I just want to thank you for that, and now I will move forward with a rejuvenated spirit! Hmmm, perhaps the fact that mushroom hunters were collecting two hundred pounds of mushrooms might possibly have an effect on the prevalence of mushrooms? Have we not learned from all the other plants and animals we have driven to near-extinction? It was good to see some of these mycological (that's science talk for the study of fungi and mushrooms) topics addressed, especially the serious and ongoing problem of habitat destruction, whether through SOD or bulldozers. Although feral pigs tear up (rototill, really) the ground under oaks, they do not actually eat the chanterelles; they much prefer acorns, as do most of our oak woodland wildlife.I assure you that despite SOD's impacts on live oaks and tan oaks in some of our coastal forests, both David Campbell and David Rust still hunt porcini up in Sonoma and Mendocino counties, where the porcini grows with pines, and the chanterelles grow with pines and fir. The focus of this article was on the decline of edible species of fungi, so the burgeoning man-made habitat of wood chips is not gonna fill that gap, no matter how interesting or mind-bending some of those wood-chip fungi are.Wood-chip morels, no matter how lovely, are no flavor match for the wild versions. And yes, I have done a side-by-side taste test.Overhunting, human competition, habitat destruction, etc., etc., all impact the amounts of fungi that get found by casual hunters. Oak trees provide far more than just fungi for gourmands...they are a vital part of the wild landscape, providing food and shelter for many, many California natives and even introduced wildlife (red squirrels, feral pigs, etc. ).We will miss them when they're gone. And although we appreciate his field prowess, Norm Andresen actually leads walks for the MSSF, not BAMS. For the record, both Norm and David Rust were also former MSSF presidents. Letter-writer Jeff Hoffman is absolutely right in saying that the two sides involved in the war against Israel are not equal. On one side, a religiously-pluralistic democracy, with 2,900 years of history in the land, whose children have invented the Pentium chip, the cell phone, and countless advances in medicine and agriculture. On the other, the Shiite Muslim jihad, embodied in the Hamas Covenant declaration that all of Israel is "waqf," or sacred Muslim land, from which infidels must be exterminated.In 1967, after successfully repelling invaders, Israel offered the regained land in exchange for peace. The blood of every dead or impoverished Palestinian since then is on the hands of the Arab League members who, in Kabul on 9/1/67, rejected the offer because accepting it would have meant acknowledging Israel's right to negotiate. The greatest enemy of the "Palestinian" people, who came into existence in 1968, is the government-run schools and media more intent on teaching children to hate Jews than to equip them to be civilized and functioning members of the 21st century. In our 5/4 theater preview, "Disassembly in One Cut," we said that Desdemona Chiang played the role of Lady MacBeth in the Impact Theatre play Macbeth. She actually played Lady MacDuff. 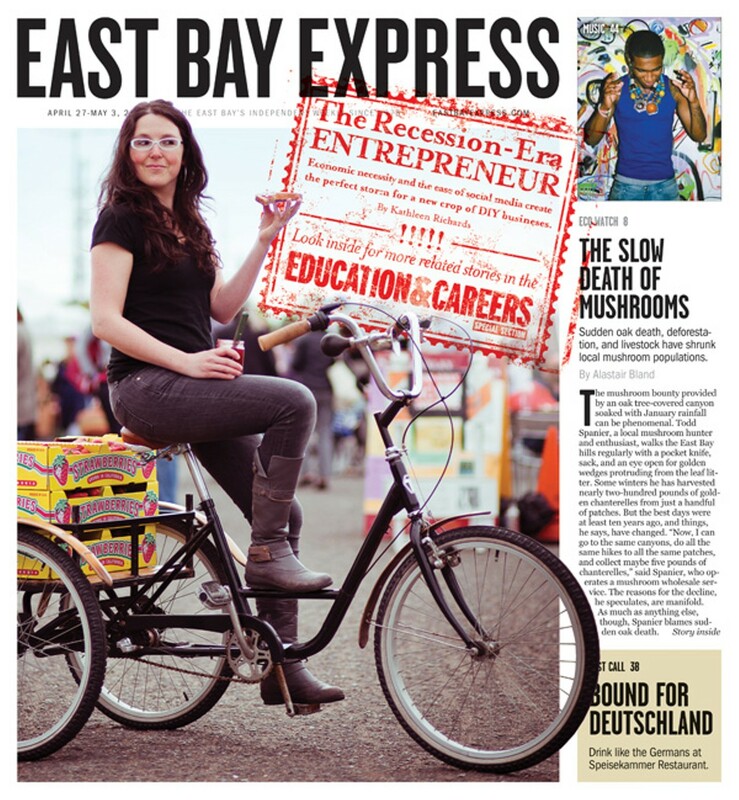 In our 4/27 Legalization Nation column, "Narco-NIMBYism in San Jose?" we misspelled the founder of All American Cannabis Club, Dave Hodges. Also, the club is two months old, not eighteen months old.